Dow AgroSciences appointed several new members to its turf and ornamental (T&O) business. 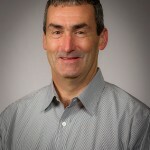 Among the new hires is Mark Neterer, who Dow appointed to the newly created role of urban pest management sales leader. In this position, Neterer will lead sales activities for the T&O and pest management businesses. He brings more than 30 years of industry, customer and product knowledge to this role, in addition to marketing and sales leadership experience. 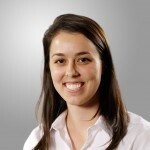 Dow also welcomed Natalie Ciambrone as marketing communications manager. Ciambrone will be responsible for implementing marketing communications tactics for the T&O business as well as range and pasture, vegetation management and pest management. She joined Dow in June 2014 as a U.S. commercial project manager. 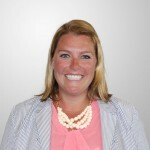 Ciambrone received a degree in economics from DePauw University and completed her M.B.A. in May 2014 from Indiana University’s Kelley School of Business. Colleen Derksen accepted a sales representative position in the Eastern District. She will assist T&O customers in Colorado, Kansas, Missouri, Nebraska, North Dakota, South Dakota and Wyoming. Since joining Dow in 2012, Derksen has worked as a sales trainee in Arkansas, Louisiana, Oklahoma and Texas, supporting the T&O business and working closely with the nursery market. She received a B.S. in business and communication from Holy Cross College.